It's well known that KAIJU! like to throw lots of hops at beers. Equally, to ensure they're drinkable rather than the liquid equivalent of licking the inside of a hop flower, they have to ensure there's plenty of malt and alcohol there too. And Where Strides The Behemoth is a beer in which it's fair to say there's lots of everything – then a bit more on top – at play. 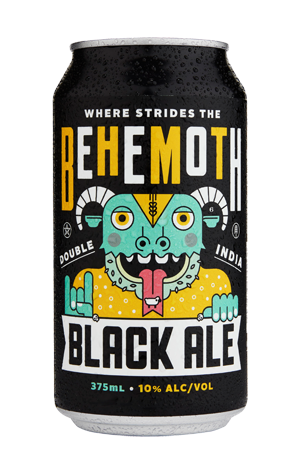 It's tagged as a Double India Black Ale, so kind of a bigger, beastlier brother to Cthulu's black IPA, which means it's very black, it's very boozy and it's very hoppy. The outcome is a meal in a bottle, and one that has achieved cult status – possibly more than any other KAIJU! beer. Full and oily of body, you'll find everything from bitter chocolate, roast and liquorice through to piney, herbal and spicy hops, as well as a slight wobble to your gait.